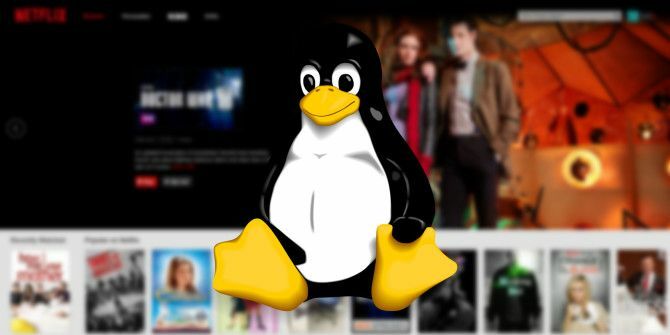 It is now possible to watch Netflix on any Linux system, so long as you run the Chrome browser starting with version 37. This will let you avoid having to use a Wine-based workaround to get the Silverlight plugin to work 5 Ways to Watch Netflix on Linux without Silverlight 5 Ways to Watch Netflix on Linux without Silverlight Netflix depends on Silverlight; Silverlight doesn't play well with Linux. But Linux users have an easy-to-use workaround. Read More . More importantly, the latest releases of Chrome block this workaround anyway, so you would have only been able to use Firefox to watch Netflix. For the time being, you aren’t able to use Firefox to natively watch Netflix. 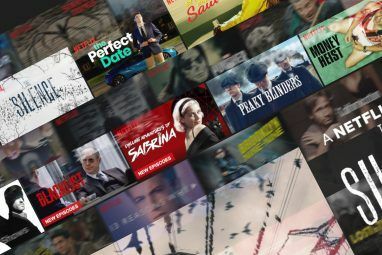 Since the World Wide Web Consortium has added a portion of DRM (digital rights management) called Encrypted Media Extensions (EME) to the HTML5 specifications, Netflix was able to go ahead with its development of an HTML5 player that is meant to replace the Silverlight player it has been traditionally using. However, not only did Netflix have to develop this player, but browsers also had to add support for DRM. Chrome is now the first browser to do so, which Linux users can take advantage of. Firefox users currently aren’t able to watch Netflix natively because it does not have support for EME yet. Once this support is added to Firefox, it should start working. To get Netflix to work natively on your Linux system, you’ll first need to get the Chrome browser, at least version 37. Depending on when you read this, this may already be the stable version of Chrome, but at time of writing, version 37 is currently the Beta release. Once you have Chrome version 37 or higher running on your computer, you’ll also need to make sure that you’re running the absolute latest versions of libnss. The installed version has to be at least 3.16.3, which Ubuntu 14.04 does not provide but Ubuntu 14.10 does. If you use Ubuntu, you can download the 32-bit or 64-bit updated packages [No Longer Available] of libnss3, libnss3-1d, and libnss3-nssdb. If you use a different distribution, you’ll need to make sure that you have all three packages and that all of them are at least version 3.16.3. Great, you’re already halfway through! Next, you’ll need to install the User Agent Switcher extension for Chrome. This is needed because Netflix doesn’t officially support Linux, so it denies any users who have user agent strings that say they use Linux. 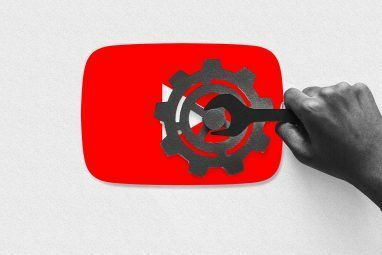 We need this extension to pretend that we’re using Windows How To Trick Websites By Changing Your User Agent [Chrome] How To Trick Websites By Changing Your User Agent [Chrome] Fool websites into thinking you're using a different web browser or device. Whether you want to trick that ancient IE-only website into letting you in or explore what the web looks like for iPhone users,... Read More , and everything will go smoothly from there. Once it’s installed, you’ll need to right click on the icon in the top right corner, choose Options, and then add a new user agent string. Flag: Whatever you want it to be. Whatever you enter in here is what is displayed on the icon when it is active. On the left side of the User Agent Switcher options, click on Permanent Spoof Options. Then, type in “netflix.com” in the Domain field (without the quotation marks), and choose the Netflix Linux user agent string. This way, you won’t have to touch anything and the extension will automatically make the necessary change when you visit Netflix, and revert the changes when you visit any other site. Lastly, log into your Netflix account, look at your Account Settings, and then Playback Settings. Make sure that the option to Prefer HTML5 player instead of Silverlight is enabled. Now, you should be able to pick whatever you want to watch and it’ll work. It’s great to finally be able to not have to use Silverlight, especially since we’d need Wine to make it work and Microsoft isn’t even really developing Silverlight anymore. It’s less complicated, faster, safer, and more seamless. Sure, it still takes a bit of work to set up via Chrome, but once you’ve done the initial work, you’re all set to use Netflix as easily as you can on a Windows or Mac computer. Are you glad that you can now use Netflix natively? Would you rather that Netflix support Linux officially? Let us know in the comments! Explore more about: Google Chrome, Netflix. The netflix playback settings does not have the "prefer html 5 player." Yesterday i install Chrome official on Linux Mint, and Netflix works good on a Intel Atom, Wifi 1MB and 2 gb Ram, but sometimes they gives speed slumbs. I have been using Netflix with Linux Mint, Firefox and Wine. Yesterday it didn't work any more and tried with Chrome and the User Agent Switcher, which gave errors. Finally I found an article telling to uninstall the User Agent (apparently it is not needed any more) and it started to work perfectly. Why i am not able to select the User Agent Switcher options? Much of an stretch with all the hoops one has to jump through, but I got it to work. Netfilx could make it easer for Linux users. Hi, it may be a minor, not linux related problem. My Netflix doesn't provide me with the option of using HTML5 instead of silverlight. Under Playback Settings the only option i have is Video Quality and to play the next episode automatically. Instead of this I did everything as described in your list. Error Code: M7083 is all I got. Well at least the -1003 is now gone. Does anybody know what to do? Finally got it to work.... Could this article be updated to give more clarity on how to install the libnss files, for the noobs, or technachly challenged? For me, that was the difficult part. FYI, there was a comment that said to download and extract the libnss32 library then navigate via the command window to the folder and run sudo dpkg -i nss* an easy way, at least for me to navigate is to just open the folder that I saved these to, then by right clicking open as terminal. I then had trouble because I was putting just nss*, when I really needed libnss* Hope this helps someone else that was doing the same as I. Thanks for everyone else that left the comments to lead me in the right direction, and for the article. Uh...what are you talking about? Installing Chrome is insanely easy. Just go to google.com/chrome, click Download Now, and then open it, which installs Chrome and it's dependencies for you. Computers are not magic, you have to install things in order to use them. this has to be the worst support ever...not only is it a headache to get even chrome to install on mint or ubuntu, but u havve to update and install several things...not a solution. As of today (Sept-19-2014) I tried everything in this tutorial (and reading from other sources) but I can't make Netflix play movies on linux :( does anyone have the same problem? Just upgraded to 14.04 (Lubuntu), followed instructions as mentioned above, but .... Netflix responded with M7357-1003 (Mentioning a missing component: WidevineCdm). Same here - did you ever fix this? 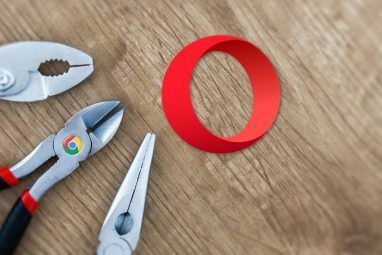 Are you perhaps using the open source Chromium browser? The DRM/EME support is only in the closed source Chrome browser. Am I missing something here? Ubuntu 14.10 isn't released yet. How has it been tested on that distro? Ubuntu 14.10 is currently in development, and Canonical already has repositories for it which include packages newer than those in the 14.04 repositories. Mark, I got the same error message. The method in this article worked for me: webupd8.org/2014/08/how-to-enable-html5-playback-for.html - it is specifically for 14.04. I believe Danny's method will only work with 14.10. And to answer my own question above, I do not have to switch Netflix preferences to use Silverlight - if set to prefer HTML5, it will use whichever method is available. I haven't tested this, but it seems logical that if set to prefer HTML5, and both methods are available, it will use HTML5. Your solution worked for me, too. Thank you for this posting, i hope I will be able to get it working eventually, but for the moment I am stalled. I was not able to install the libnss packages. From Ubunti Software Centre I got the message "Dependency is not satisfiable: libnss3 (=2:3.16.3-1ubuntu1)"
"libnss3 is already the newest version." When I try to use choose Options in Chrome to add a new user agent string, Options is greyed-out. Extract all the .deb files into a single folder, use the terminal to navigate to that folder using the cd command, and then run the command sudo dpkg -i nss*. If you still have problems after this, download the 32-bit packages as well, place them in the same folder, and then run the same dpkg command again. I plan to try this method on a new Mint 17 Mate install on a Acer 4810T laptop and have a question about setting Netflix to use HTML5. Will doing this prevent Netflix from being usable in Firefox or Windows Media Center on my Win 7 machines? Do I have to go into my Netflix account and reset it whenever I want to switch methods? Thank you. I have recently installed pipelight (from a MUO article). This is supposed to be the latest greatest Silverlight replacement for Linux. It works (using its own fork of wine). I don't know if this is relevant to this issue, but it's good to know it's out there. From other comments, it appears that this will not work with chromium. I have chromium installed and remember having unresolved difficulties when I tried to install chrome along side of it (so I could use pepperflash). Can anyone address the chrome/chromium installation issues? Pipelight was the latest solution for a while, but this native solution is brand new and preferable. It worked for me - but I had two minor problems. 1. There are several flavors of Chrome extensions, all named 'User Agent Switcher' or some variation. Make sure the one you download allows for the options to be entered per the article. I found it helpful to make sure the icon in the screenshots posted to the post matched the Extension. 2. I had to make sure I installed the libnss3 *.deb packages in the correct order. Not a problem per se, as library dependencies matter, but I didn't know which one to try first and this sort of thing was daunting to me as a Linux newb. Just FYI. Is Chromium going to have this support in future, or only Chrome? I believe this will be Chrome-only, unless they can make the implementation open-source. Make sure that you're using at least the beta of Chrome and also replaced the nss packages with the newer versions. People who get this error missed a step somewhere along the way. Is there a Chrome extension that only changes the browser's ID string for particular websites? I don't want to help add to the long outdated numbers, outstanding myth that Linux users only account for one half of a percent or some other such inaccurate reporting. It will be bad enough with Netflix not knowing who their users really are let alone all other sites on the web. If you'd have taken the time to read the article all the way through, it shows you, you add any given address to a list of browser string changed domains. My question is, how are ChromeBooks able to play Netflix? I believe Chromebooks had some special code included that Google wasn't allowed to distribute on any other devices. Chromebooks and Netflix is a pretty fuzzy topic. Ah yes, found out that my Chromebook actually did play Netflix after I forgot I posted this comment. Well played, Danny, well played. Just commented on this yesterday! This works great! Thank you!!! You're welcome! When I first heard about it, some people were having issues getting it to work for them, but I believe they just accidentally skipped a step. Once I found out how, it worked just fine on my first try. Huh. I thought the Mono Project was developing Moonlight as an open-source alternative to MS Silverlight? Moonlight will not support the DRM so not useful for Netflix. Besides the html5 player is nice. Also silver light is end of life in 2021 so Netflix needs to move off it completely in next 7 years. The Moonlight project has also been abandoned quite a few years ago, and has since become a completely unusable plugin. Look at this. It can be applied to any thing requiring Siverlight on Linux.